The Doctor and his companions discover they’ve landed in the future of their own timeline. I really like the premise of this episode, how the TARDIS pushed the travelers farther into the future. The first part of this serial is pretty strong and I think that if they had kept the invisibility aspect of the storyline it would have made for more compelling television. Unfortunately, the idea fizzles at the start of the second part and never fully develops the potential that was showcased in the first part. There are deeper issues in this episode that should be explored, but sadly are not. Before we go ahead of ourselves, let’s discuss the strengths of this serial. 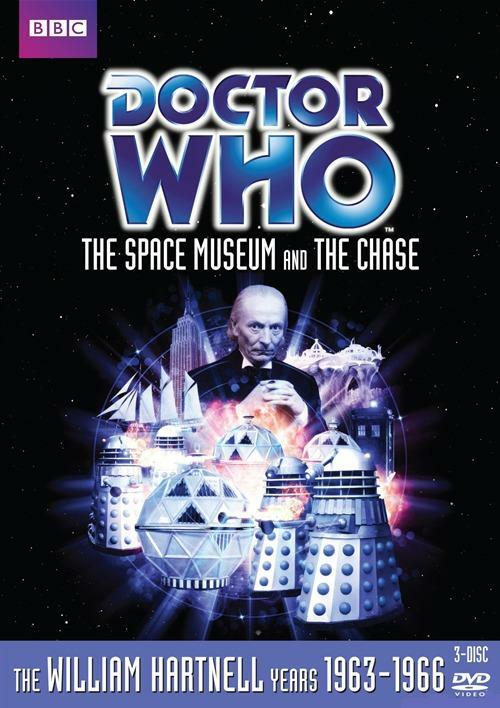 The first part explores how the TARDIS travels from one place to another, using the different dimensions of time and space. What happens when there is a miscalculation in regards to the fourth dimension, time? Are you far ahead enough to see your future? Can you change the future that you see or must you be an unwilling participant in events yet to come? How do you prevent the future when you see a glimpse of it in your past/present? Does it matter what we do in our solutions/actions or is it already pre-determined? A lot of this is discussed between Ian and Barbara during the later parts of the serial, which I think are the more interesting parts of this episode. The larger piece of this serial is why the Moroks created the Museum in the first place. To invade a different planet and to create a museum on said planet to display their conquests is a crazed notion that works for this storyline. What better way to showcase your great acts than on the blood of others. While the overall acting and design of the characters is slightly minimal, the overarching evil of the Moroks is frightening and should be considered a lesson for those who can see past the simplicity of the storyline. It’s also a commentary about how one can become so bored after everything has been accomplished. The Moroks have done it all and seem to be longing for some form of adventure once again. The Xerons have no clue about how to reclaim their land, and have to bullied into revolution by Vicki’s desires to leave the planet with her companions in one piece. As I mentioned before, I truly believe that they should have kept the silence/invisibility aspect longer than just in the first episode; or at least through mid-third part. Or there should have been a better connection between the Doctor and the companions with the Xerons or Moroks. It’s an “interesting’ installment and serves as a great starting point for the perils of time travel and fixed points of time. Final Note: The leader of the Xerons, Tor, was played by Jeremy Bulloch; a man who would later have a claim to Sci-Fi fame with his role of Boba Fett in The Empire Strikes Back. The Museum contains a diverse collection of artifacts from around the universe, including a Dalek shell. One things that was glossed over in the serial was how the TARDIS created the bump in time travel. There is a larger explanation within the book that helps discuss how the TARDIS protects itself from such occurrences. The TARDIS clock has a built-in memory and will adjust when a time friction occurs. This explains why the companions and the Doctor were asleep when they landed, blacking out their actions for their protection. There is a bigger description about the Moroks and the Xerons in that the travelers witness the Moroks killing Xerons as the try to escape. There is a ruthless quality to the Moroks that was only hinted at in the visual presentation. It also highlights the lack of weapons that the Xerons currently possess, showcasing their position as a peaceful planet. Like the visual serial, the question of action becomes a larger issue with the story. Do our actions change what will happen or are the actions following the line of destiny? It’s a quick little story that flows well; far better than the visual presentation. I would recommend reading the novelization first before watching the serial as I found myself zoning in and out of the visual presentation. At lease with reading ahead you won’t find yourself as lost as I did with my first screening of the episode.